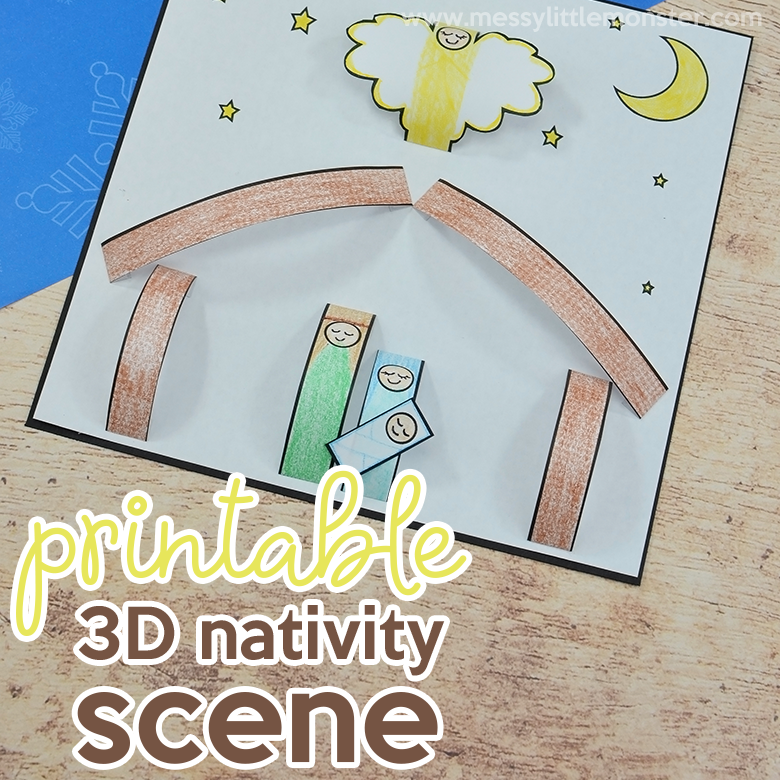 This printable nativity scene is such a fun nativity craft for kids! 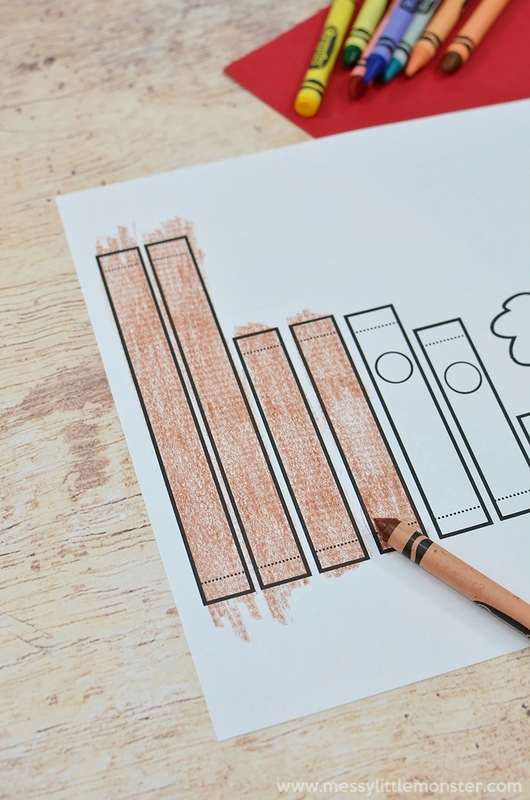 Young children will have so much fun colouring these nativity scene cutouts and then putting together their own simple nativity scene. This is the perfect nativity craft for preschoolers who are learning about the first Christmas. We have included the free printable nativity scene below to make it easy for you. Just follow the easy step by step directions to make your own kids nativity craft! If you're looking for more nativity craft ideas , you'll love this paper plate manger craft (coming soon) and this nativity handprint and footprint craft! This nativity craft is PERFECT for toddlers and preschoolers to get into the spirit of Christmas. They will really enjoy the nativity colouring involved in this craft as well as putting together the nativity figures to make their own simple nativity scene. 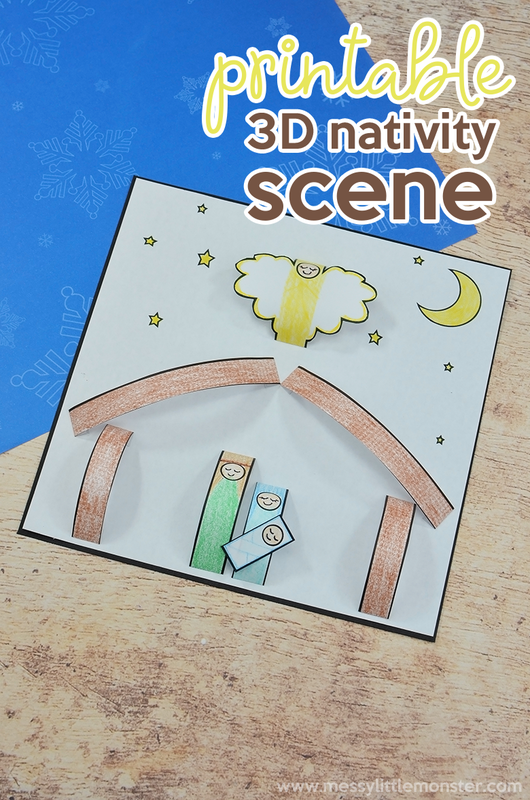 Printable scenes can be sooooo much fun for them - and this printable nativity scene is no exception. 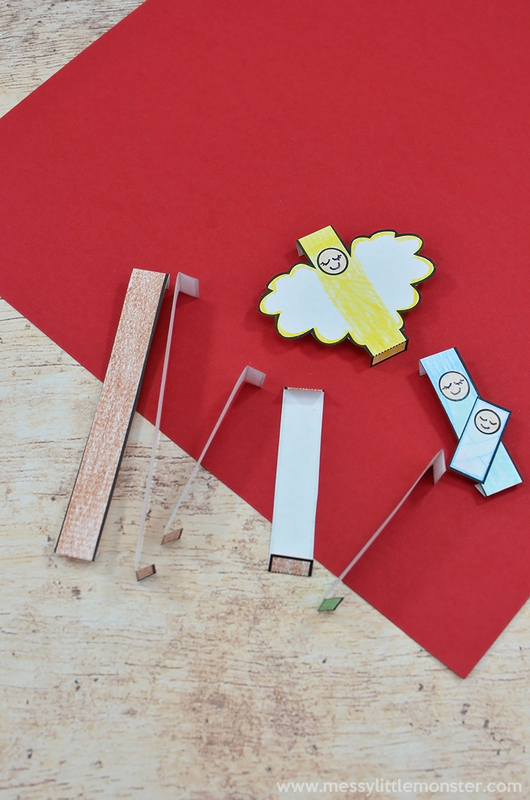 It's a really fun nativity craft, but simple too! It's a great learning opportunity for young children as you can discuss the different elements in the nativity scene as they colour. SCROLL DOWN BELOW FOR THE FREE PRINTABLE NATIVITY SCENE! 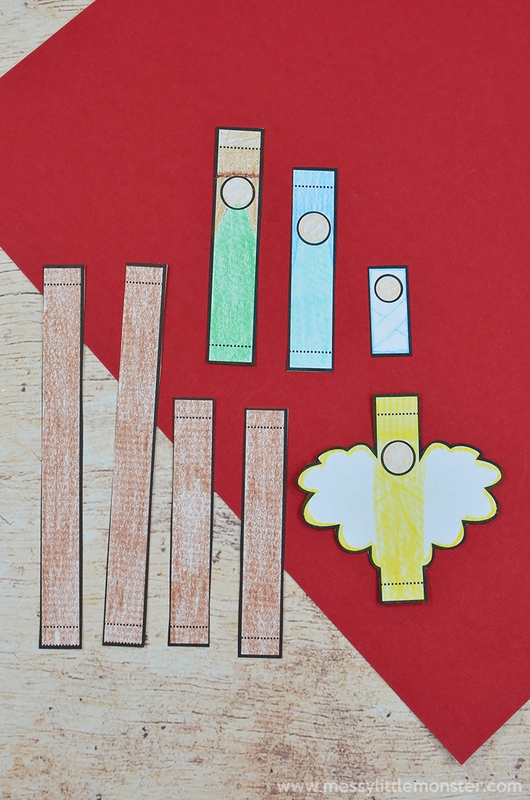 Before you get started, gather up all your supplies - make sure you have lots of colour options for your crayons! To get started, download and print the free printable nativity scene. 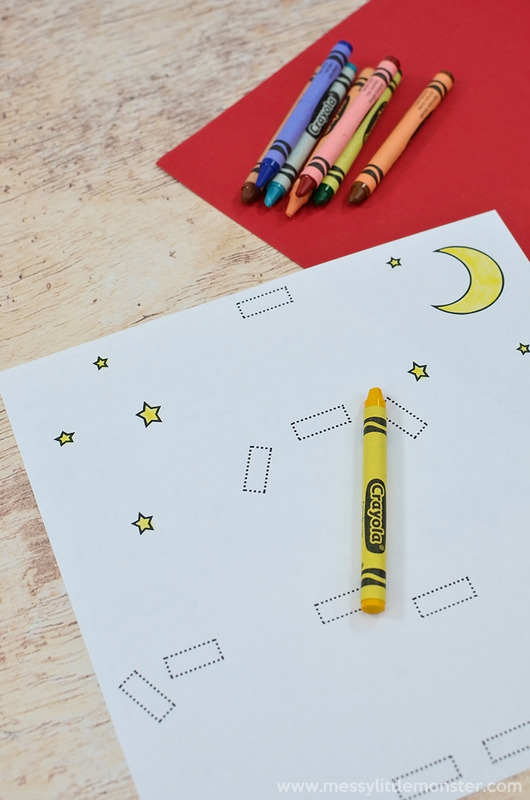 Trim the template background to size and colour the stars and moon with a yellow crayon. Next, colour the template strips. The first 4 will make up the manger - we coloured those brown, but you can colour them however you'd like! The remaining strips will be the nativity figures - Joseph, Mary, Jesus, and the Angel. You can see how we chose to colour those in the picture below. 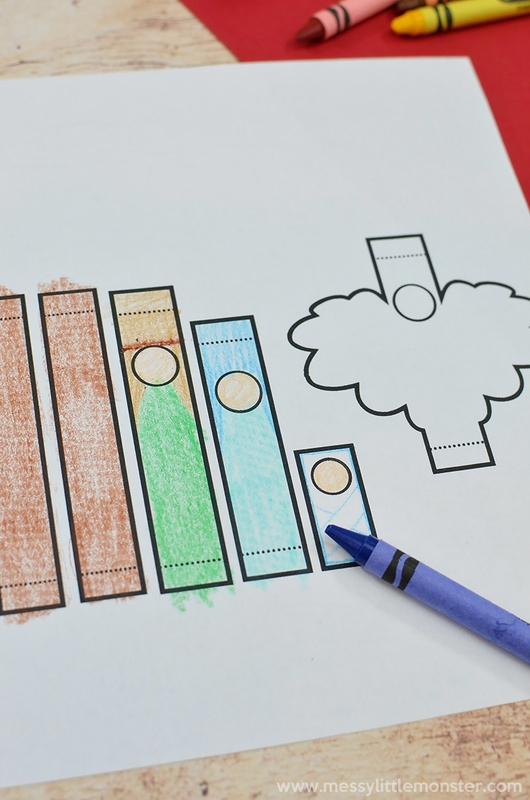 Take a black marker and add faces when you're finished colouring them in. Now it's almost time to assemble the simple nativity scene! Start by cutting out each strip along the solid lines. Glue the baby Jesus onto Mary with a gluestick to resemble Mary holding baby Jesus. Then, fold the ends of each strip backwards along the dotted line as pictured below. Use the guides on the background paper to see where to glue each nativity figure. 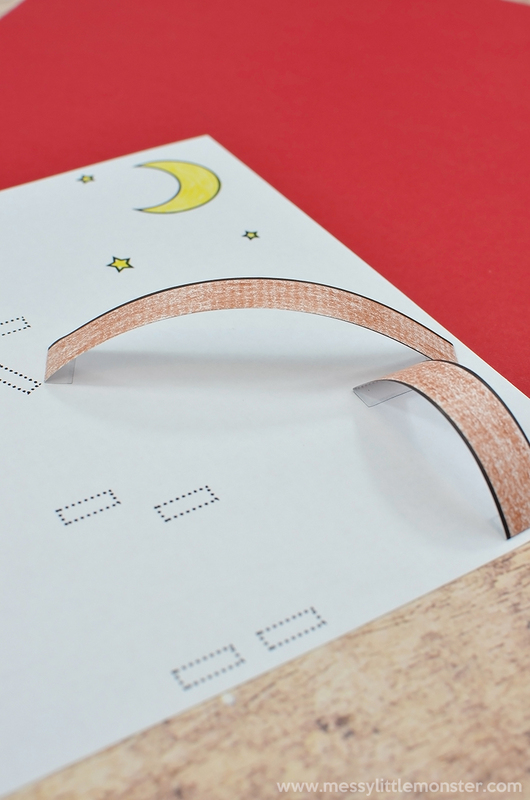 Glue them into place - the paper will naturally form a loop 3D effect as you see below. Continue until you have finished the nativity scene as pictured below! DOWNLOAD THE FREE PRINTABLE NATIVITY SCENE! To download this printable nativity scene for free add $0 and click on the 'I want this' box below. It may take a moment for the page to load so please be patient. For personal and classroom use only. Not for redistribution. All images are copyrighted. 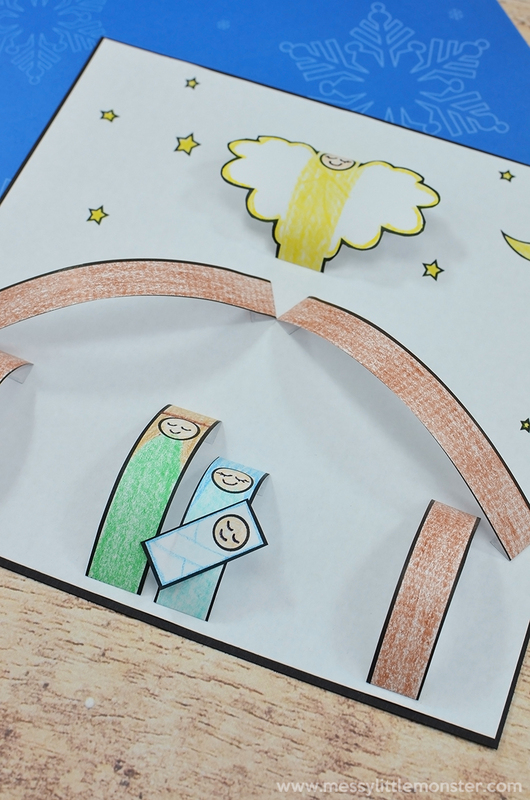 We hope you enjoy making this printable nativity scene! This is such a fun nativity craft for preschoolers or toddlers to help them learn about the nativity story. 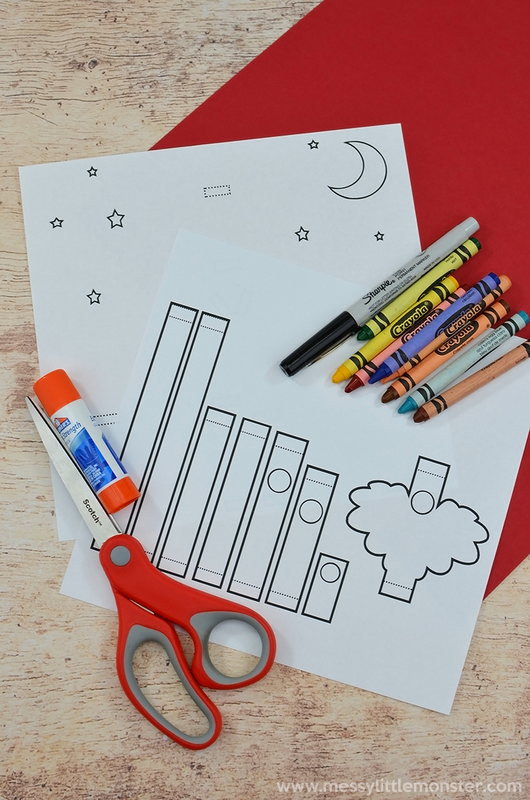 Kids will love colouring the figures and creating their own nativity scene in this easy kids nativity craft. Be sure to check out these other nativity Christmas crafts too!